Air beds have become the second fastest growing segment in the specialty sleep area (behind memory foam), mainly behind the marketing clout of Select Comfort. Air beds on their own aren’t that comfortable, but layered with different foam layers and topped with memory foam they can be quite comfy. And one neat thing about air beds is that they can have multiple chambers – and I’ve seen some expensive models that have independent hip and head and foot chambers so you can separately adjust the firmness of the bed for your hips, shoulders and feet. These multi-chamber beds are more expensive, though, and have more connections so that they may be more prone to problems. 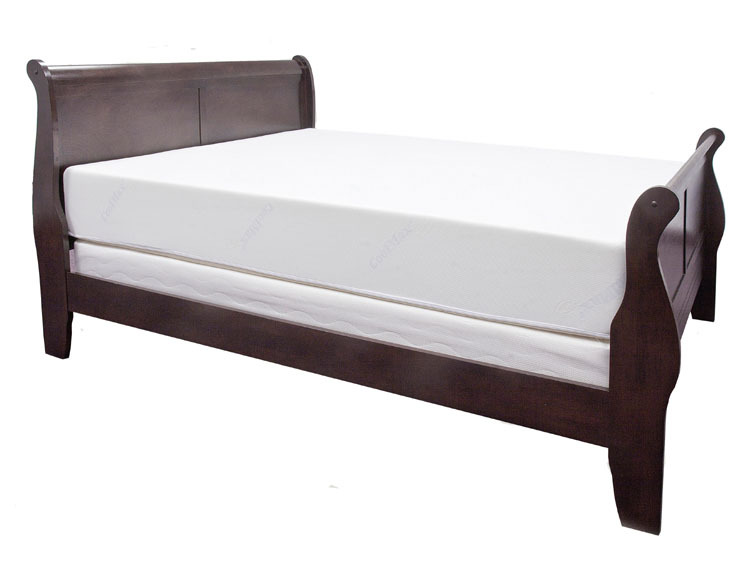 Want to know more about choosing a latex mattress or air bed? I’ve put together buying guides on each to help you get a good grounding on their basics – the Healthy Foundations latex mattress buyers’ guide and air bed buyers guide. I hope you enjoy these guides and let me know if you have any questions that the guides don’t cover.